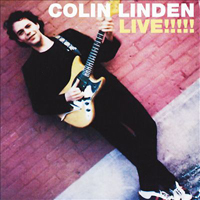 Colin Linden Live!, recorded at the now defunct Larry's Hideaway in Toronto in August 1980, was the then-twenty year old's first album issued under his own name. by Comfort Sound mobile unit. Engineered by Doug McClement, assisted by Blair Packham. Very special thanks to Mr. Joe, for his help and patience, and to Eileen Tobin, for Cardiac Arrest (and the administration of its cure), and to my personal physicians, Drs. Limbo and Limbo. Play this phonograph album loudly!!!!!!!!!!!!!!!!!!!!!!!!!!!! Produced by Colin Linden for Group du Jour Productions Inc.